Always fancied riveting one-handed like a super-hero factory worker, some kind of 21st century John Henry? No problem! 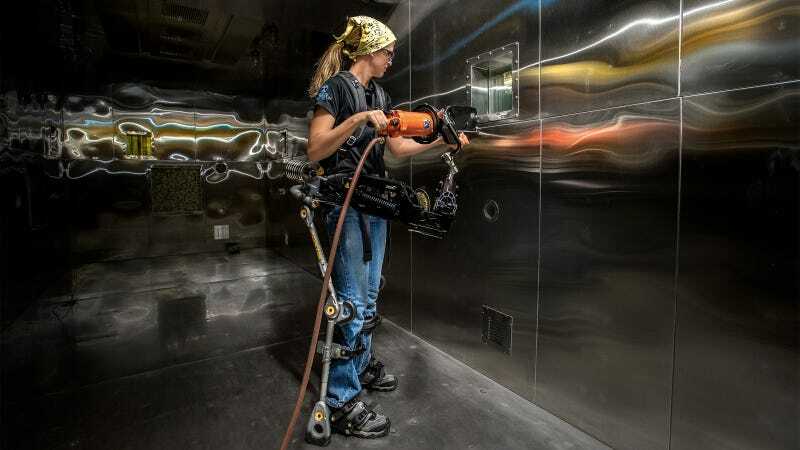 Lockheed Martin's Fortis exoskeleton–introduced in 2014–allows any worker to handle heavy hand tools while standing or kneeling. And it looks like the future. "Because the FORTIS exoskeleton is lightweight and mobile, a tool operator could easily wear it while making repairs or performing maintenance in areas that weren't designed for stationary, bench-mounted tools, like in a ship's engine compartment or the fuselage of an aircraft."